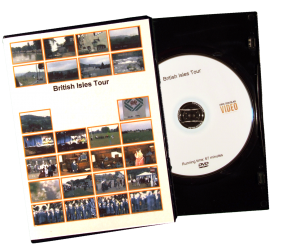 Each DVD transfer includes a 100-year scratch-resistant disk, scene selection menu, printed label and a case with case wrap. Ask us about additional options for your Video Transfer projects. 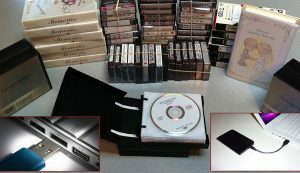 Pricing is based on two-hour recordings, which is what will fit onto a disc. If your recordings exceed 2 hours, then each 2 hour segment is considered as a transfer. If you have shorter recordings, those recordings may be combined, up to 2 hours, when you identify the order or sequence of the segments. For video transfer that will capture all the memories and special moments, have Kirk Douglas Video at your side. Contact us today through our book an appointment page, by phone at (612) 804-9503, or by email at kirk@kirkdouglasvideo.com. Lee Beecher, M.D. and Mary Jane Heinen, Ph.D. – 5 Stars! We highly recommend Kirk Douglas. He came to our home, listened carefully and sympathetically to our stories, and came up with a great work plan to make permanent DVDs of many years of family films and tapes. Kirk is a meticulous and very skilled professional.